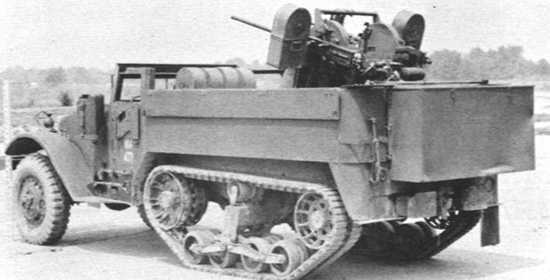 Notes Based on the M5 chassis and built by International Harvester, the M14 had twin .50 cal M2HB Heavy Machine Guns on a M33 Maxson mount, the side and rear armour could be lowered to allow for ground fire. The M14 was standardised a month before the M13. The M14 never served with the US army and most were leased to the British army.